Los Angeles, CA – This year’s Laserfiche Institute Conference will be held January 14-17, 2008, at the Hilton Los Angeles Airport. 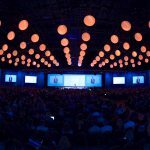 This technology conference for Laserfiche customers and resellers will feature the largest offering of classes, presentations and labs ever presented by the document management pioneer. These sessions will provide participants with a unique opportunity to consult with the people who develop, implement and support the software every day. Laserfiche’s premier sponsor this year is Kodak. Platinum sponsors are HP and Canon. Gold sponsors are Checkmation, DigitalPaperwork, ESRI and United Micro Data, Inc. Additional sponsors include Fujitsu, NewWave Technologies, eCopy/Software Connections, Visioneer and Panasonic. Conference sessions are divided into a variety of tracks. Attendees are encouraged to choose sessions that match their interests and skill level. The Product Overviews track will showcase the ways Laserfiche helps organizations operate more efficiently. Suitable for new and experienced users of varying technical abilities, these sessions will show how each Laserfiche product helps meet an organization’s most pressing information management challenges. Participants will get their first look at the powerful, all-new features of Laserfiche 8™ and tips on how to prepare for migrating to the new platform. In addition to previewing Workflow 8™ and Web Access 8™, users will get tips and tricks on searching, shortcuts and integration that will help maximize Laserfiche 8’s new functionality. The Processes and Practices track will cover best practices for designing, implementing and maintaining a comprehensive Laserfiche solution. Participants will learn how to analyze their organization’s needs, then develop Laserfiche-powered business processes that support and enhance the way they work. As their organizations grow, participants will be prepared to expand their Laserfiche system to support a larger workforce and multiple offices. The new Architecture and Administration track will feature sessions designed to simplify the installation, maintenance and troubleshooting of the Laserfiche system. System administrators, integrators and developers will get a “developers’-eye view” of the architecture of Laserfiche products, as well as advice for achieving optimal performance. Sessions cover such topics as enhancing system performance, migrating to Laserfiche 8 and integrating Laserfiche with third-party applications. In addition, participants will have the chance to delve into the details of Workflow 8 that make it ideal for solving their most complicated routing and workflow problems. 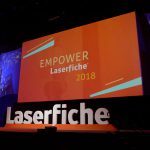 Every year, attendees comment on how much they enjoy the conference’s hands-on labs, so this year, Laserfiche will be presenting more of them than ever before. To illustrate how Laserfiche 8 will help improve the way organizations run, Laserfiche will hold a series of Quick Start labs to get people up to speed on its new features and functionality. Other labs will address hot-button issues such as disaster recovery planning, implementing a security policy and image-enabling line-of-business applications.